Today I’m so overjoyed to share with you my really good (Insta) friend Ketty. Her and I connected a couple years ago while I was still living on Guam and working on my series Hope For Women in Crisis. 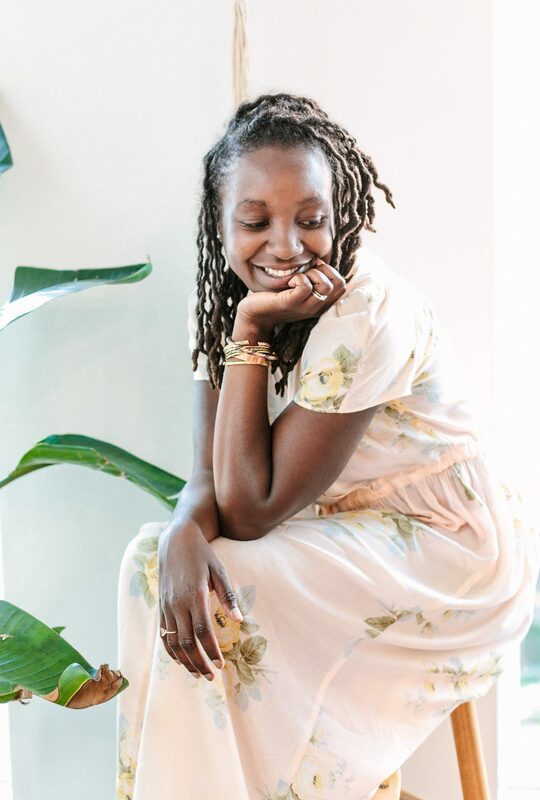 I immediately fell in love with the gorgeous dresses she was sharing over on Instagram, and I knew I had to learn more about her brand. 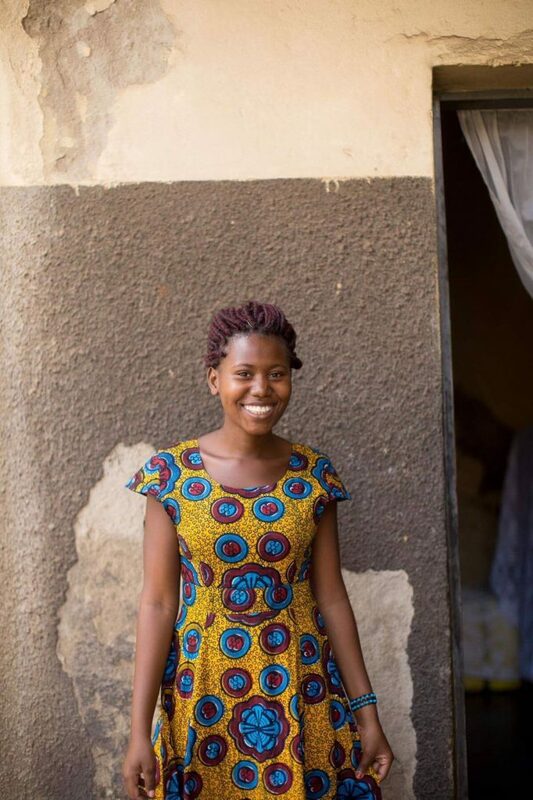 Ketty is one half of the female led label Artisan Apparel, out of Gulu district, Uganda. Her business partner Devon is located here in the U.S. and will hopefully be a guest on the blog soon. I’d love to hear your thoughts on this interview once you’ve read it. Please feel free to leave a comment below and visit me over on Instagram. KP: My name is Okello Catherine Promise (but ever since l could hear, everyone called me Ketty). 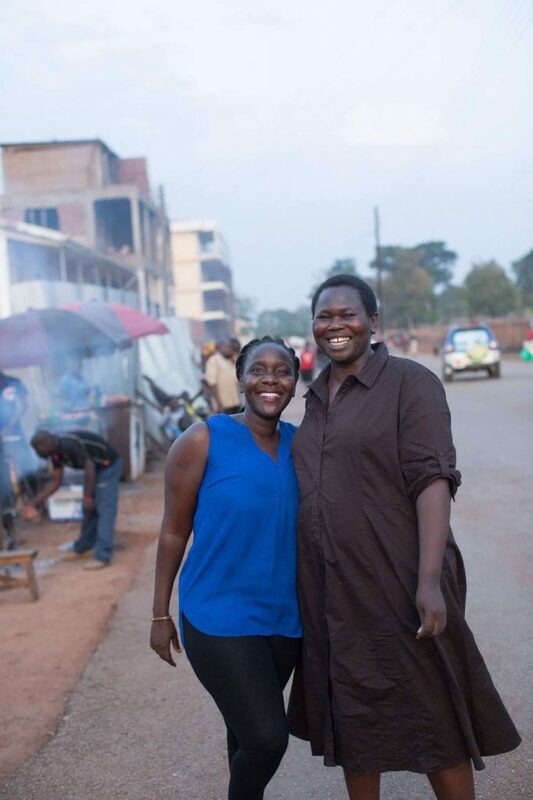 I was born and raised in a once war torn district called Gulu in the northern part of Uganda in East Africa. I was raised by the most amazing parents, Mr. Okello Santo, ma dad, and Mrs. Ventorina Aciro Okello, ma mum. I am the first born, with six other siblings, four girls and three boys; but being African, we have lived and grown up with so many cousins. I grew up in an extended family where siblings, aunties, and cousins live together. Ma mother is a housewife and ma dad (RIP) was a builder. They raised us to have Christian values, which I hope I still have and use. My extended family is closely knit, we always have each other’s back, and I’m thankful for that. 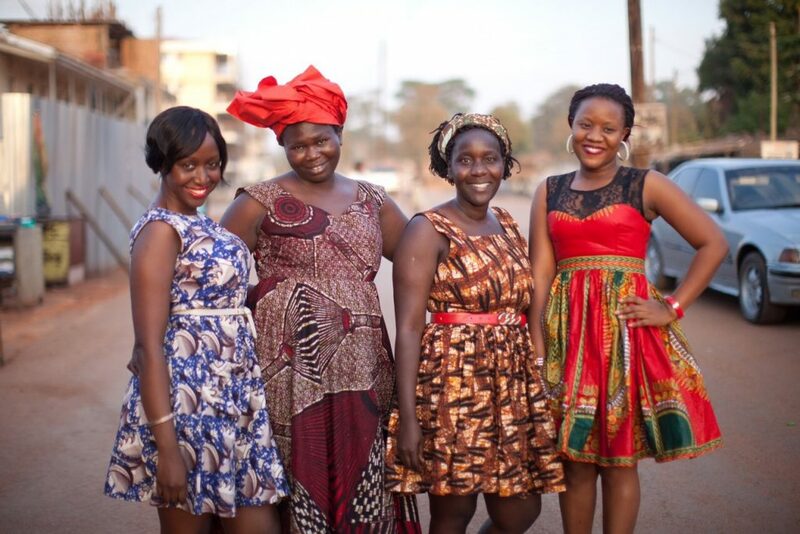 AM: What is Artisan Apparel Uganda and When did it begin and what made you decide to start it. 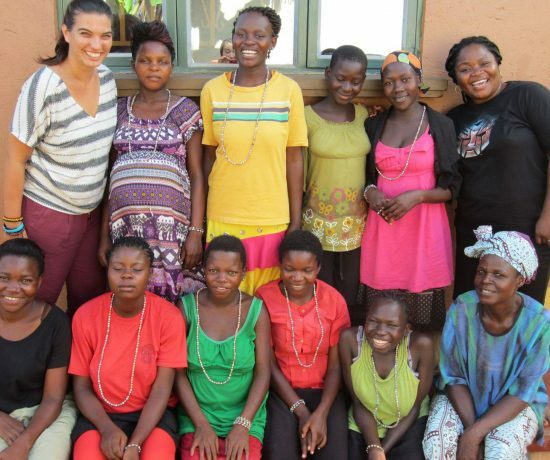 KP: Artisan Apparel is a locally owned small business located in Gulu district in Uganda. It was established on May 16th, 2014, but officially launched on March 5th, 2015. 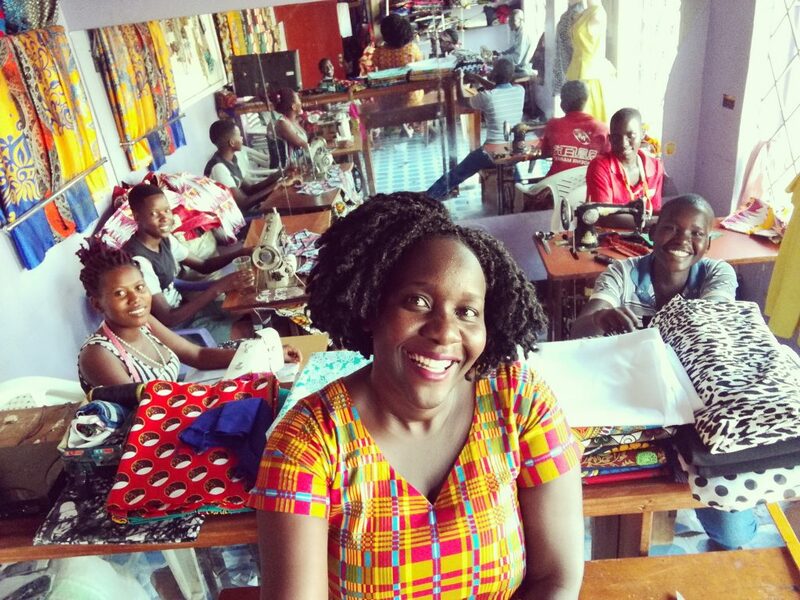 It was designed to engage the needs of the community and provide opportunities for advancement in post war Uganda through the unlikely medium of fashion. The business employs women and (now) two men from the community, while opening up their minds to the creativity that resides within them. 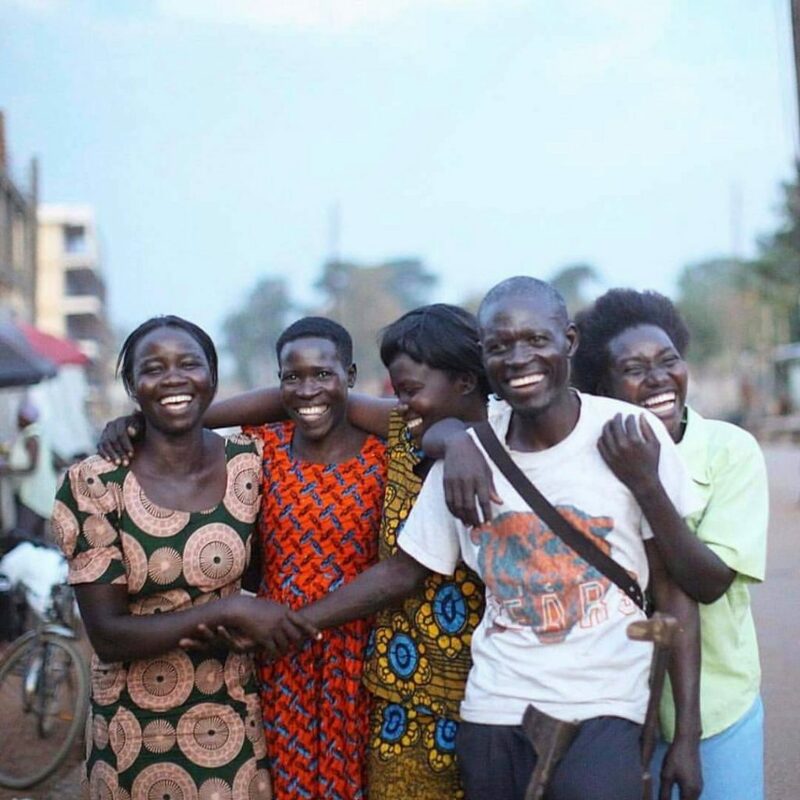 We create jobs, design fashion, and empower artisans in Uganda to break the cycle of poverty for themselves, their families, and their communities, by capitalizing on traditional African print fabrics and recycled paper for the jewellery. 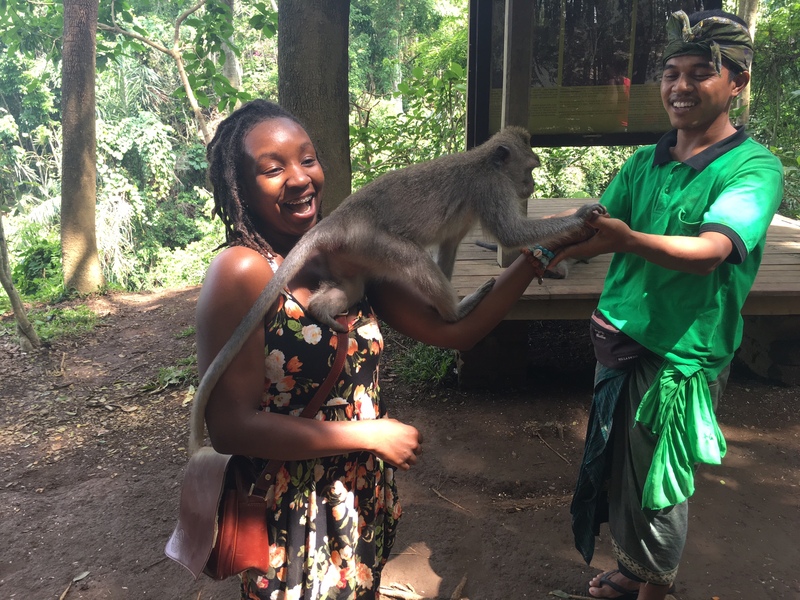 AM: What is your role at Artisan Apparel? KP: I’m the Co-founder/Director. I manage the business side of Artisan Apparel, but ma creative side helps in opening minds and coming up with new fashion ideas that can be incorporated in the business. AM: Where did you learn to sew and design. KP: I don’t know how to sew but l can design clothing and l didn’t have any formal education for this. Its just a passion that l have always had. Our lead tailor Veronica has been sewing for over 20 years and l have always known her. She has always been ma personal tailor. I would design what I wanted and she would make it a reality– till the day when I told her, we could actually turn this into a partnership and business that would benefit us and the community we are living in. AM: Did you always know you wanted to be an entrepreneur. KP: I think in the deep recess of my mind, yes, I always knew I would be an entrepreneur. I started business at a young age. Ma dad always took me to his building sites and I was always like his apprentice. Ma mum had a small grocery shop that I would attend to during school holidays. Actually ma first start at a business was sponsored by ma dad after I finished university. I opened up a shop that sold second hand shoes and bags… lol see it was still in fashion. Being Ugandan, we always think after university, one needs a job at an NGO or government entity. So I worked for a bit in several disability organizations, until the contracts ended and being jobless pushed me into pursuing ma passion as a business, while still giving back to the community. AM: How do you find the artisans that you employ. KP: The first artisan was Vero, who like I said earlier is more of a partner because we had already been doing this together for awhile. God works in ways best known to Him; when we opened the first artisan shop, it was only me, Vero, Devon, and one other girl that Vero was tutoring at that time. 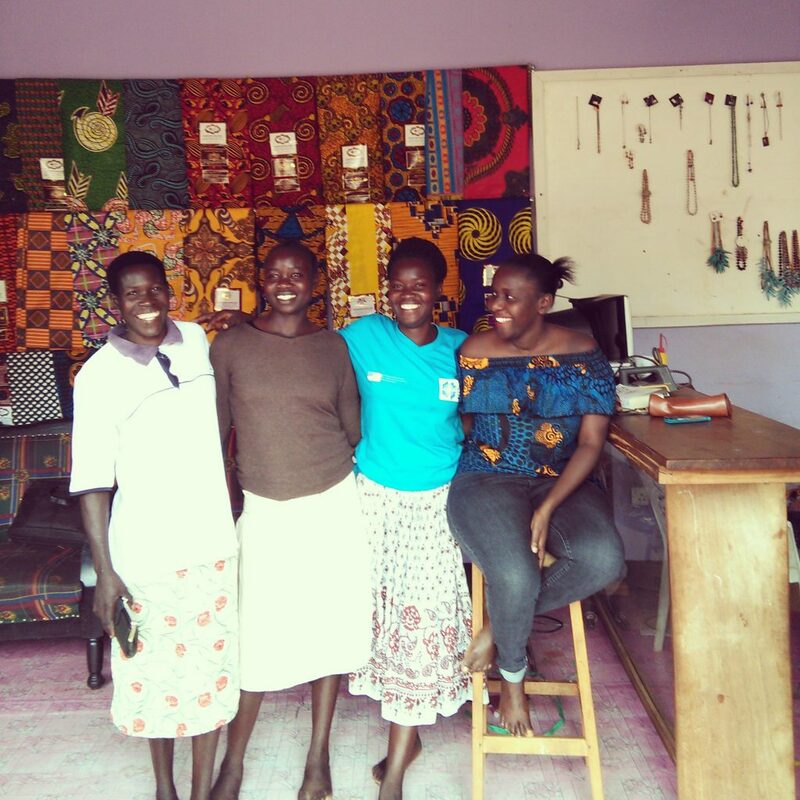 But by the time we officially launched, we had people that wanted to be trained by us and were absorbed into the new Artisan Apparel family, so we started training but with baby steps. One or two artisans at a time (for the sewing section). 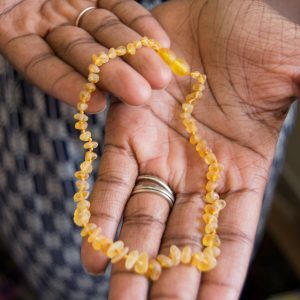 For the jewelry, that’s another amazing story, because when we started artisan apparel, we didn’t want to do paperbead jewelry since so many NGOs were already doing it and already had a market. We thought competing against them would be so hard! 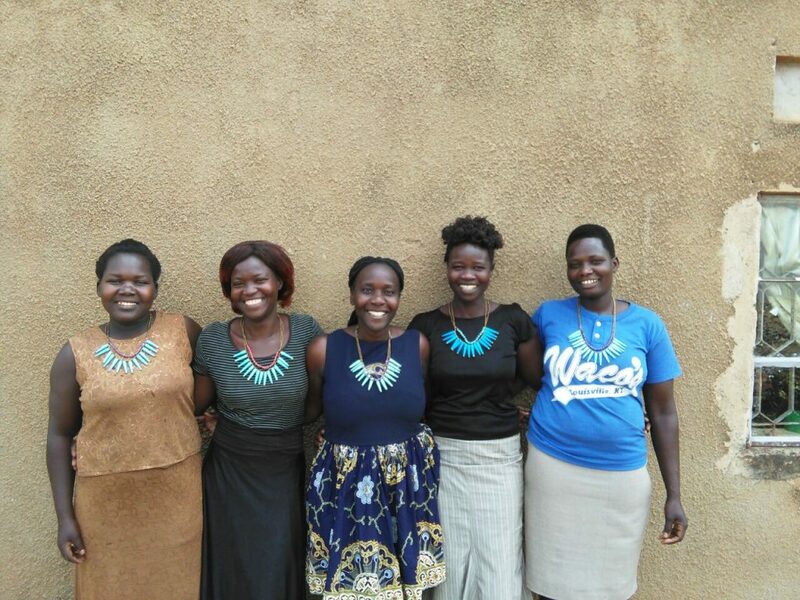 But a group of former child solders approached us weeks before the official launch of Artisan Apparel, they already had some skills in making the jewelry, so we made them make samples that we displayed. 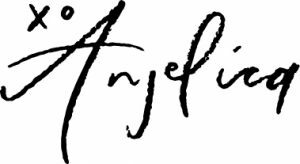 One of our current partners, Krista Jefferson of iamjustone loved their jewelry and like they say, the rest is history. Lol…so the current artisans bring in more artisans, but we also try to scout for talent within the community so that we can either make them better or promote them. Its all about building the community. AM: What is one of the best things about owning your own business? KP: You can have several worries but one thing is for certain, you can’t be worried about someone sacking you the next morning! Lol, but I certainly get absolute joy when paying the artisans for the jobs they do, that to me is best because I know they will not sleep hungry, they will be able to pay school fees for the kids, and be able to just have the basic needs. 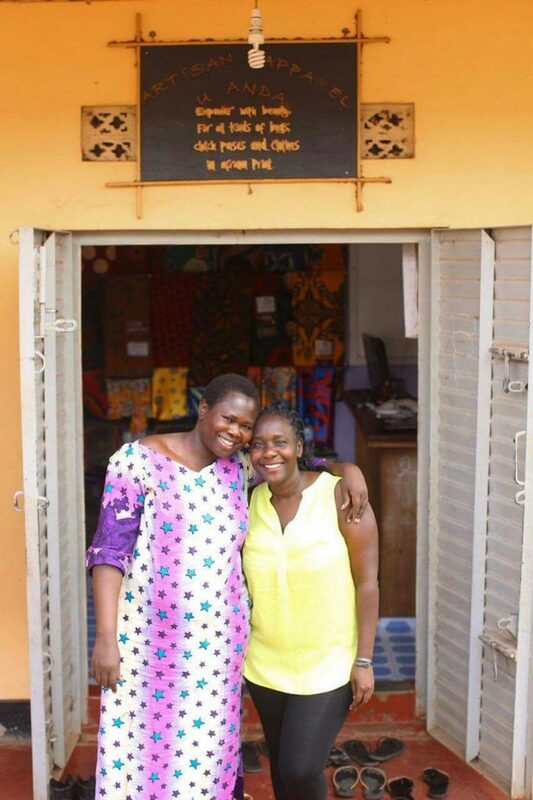 AM: What is the most difficult thing about running a business in Uganda? KP: The attitude that people have towards a new business is very frustrating. You have to work extra hard to prove to them that your product is worth it and that you are capable. It gets worse if you are a woman entrepreneur, but I am glad it is getting better. AM: Is there any woman who has had a significant impact on your life? KP: My mother is my mentor, she has instilled in me so many values that have shaped me into what I am now. She is a no nonsense woman, tough, but the kindest person that I know. Then ma sisters, they are the greatest support base that I have. And of course Devon; she is a angel amidst us all; she has soo much love and compassion, I don’t know what I would do without her in ma life. I am such a Catholic so I really do look up to Mother Theresa, bless her soul! KP: If we could work together to leave this world a better place, that would be good enough but I wish for people to remember me as a kind and humble soul. 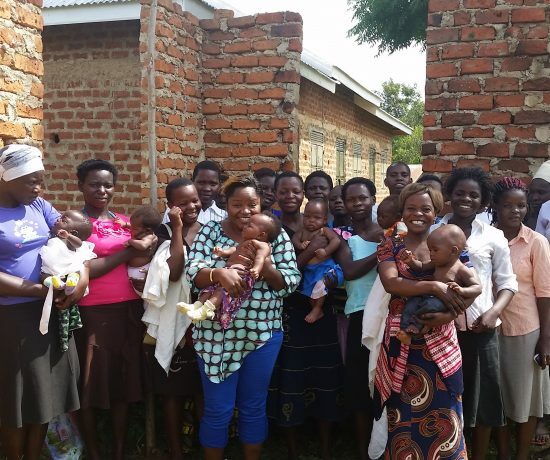 AM: Where do you see Artisan Apparel Uganda in 5 years? 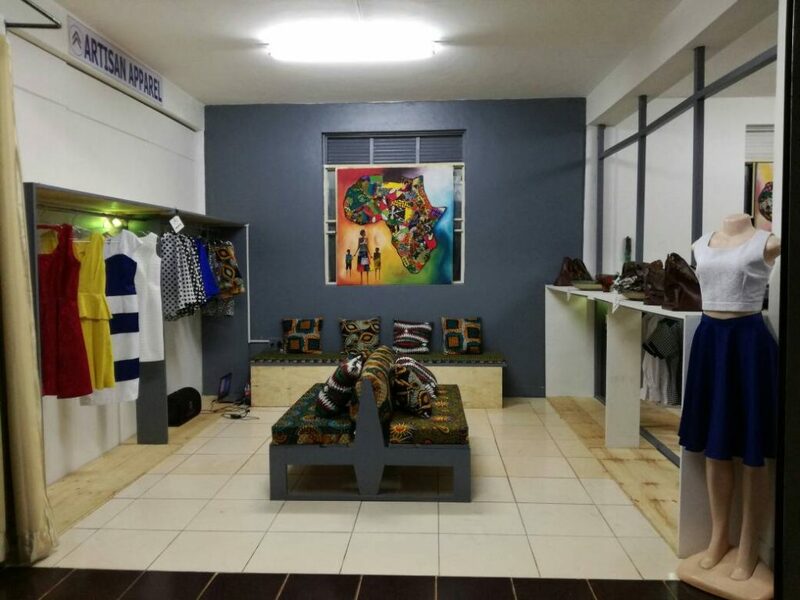 KP: I would love for Artisan Apparel Uganda shop and workshop to be the busiest and most talked about spot in Uganda, and the world. I want everyone that comes into the country to make it a point to shop at Artisan Apparel, but our main goal is to be able to train and employ as many artisans as possible. We want to have a creative space and training centre set up, now that would be the best! 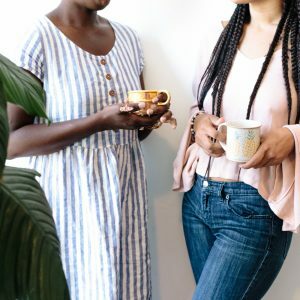 AM: Where can we find you and Artisan Apparel on the web? KP: I can be found on facebook as Ketty D Promise, on instagram as Ketty Promise and ma email is catherinepromise@yahoo.com. Artisan Apparel Uganda can be found both on Instagram and Facebook. Our email address is artisanapparelugada@gmail.com, and our website is www.artisanappareluganda.com. Location in Uganda: Mepaco Building, Plot 9 Market Road after JoJo’s Palace Hotel. (Former spot of Cafe Larem). I hope you LOVED reading this interview as much as I loved doing it! I can’t wait to hear your thoughts!